This post is sponsored by PHILADELPHIA Cream Cheese. As always, all opinions are mine. Do you have a recipe that you think of when you think of your childhood? 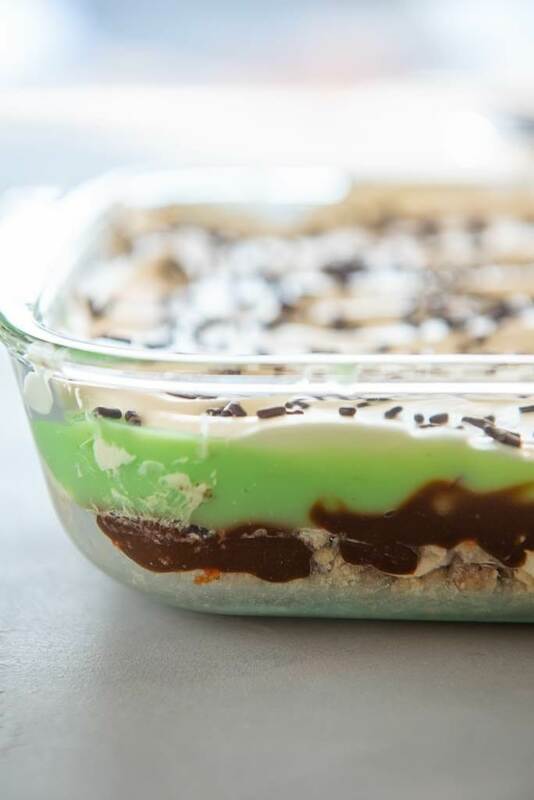 The dessert recipe that comes to mind when I think of my childhood is my Mom’s Layered Heaven Dessert. This recipe has been a part of my family gatherings for years. It’s my Dad’s favorite and it’s one that I never want to forget because it was passed down from my Grandma to my Mom, and now to me. When deciding what I could share with you for your own Easter celebrations this year I thought this was the perfect recipe! 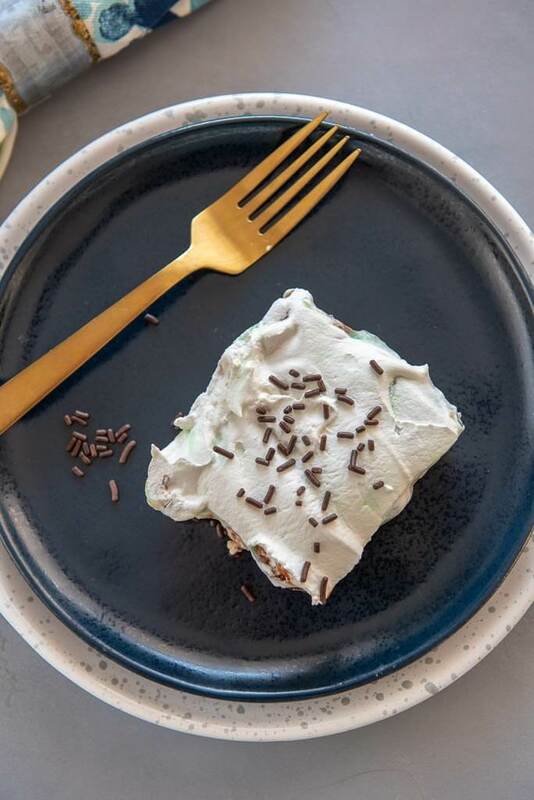 One of the reasons I enjoy this dessert is because it’s a little unique! 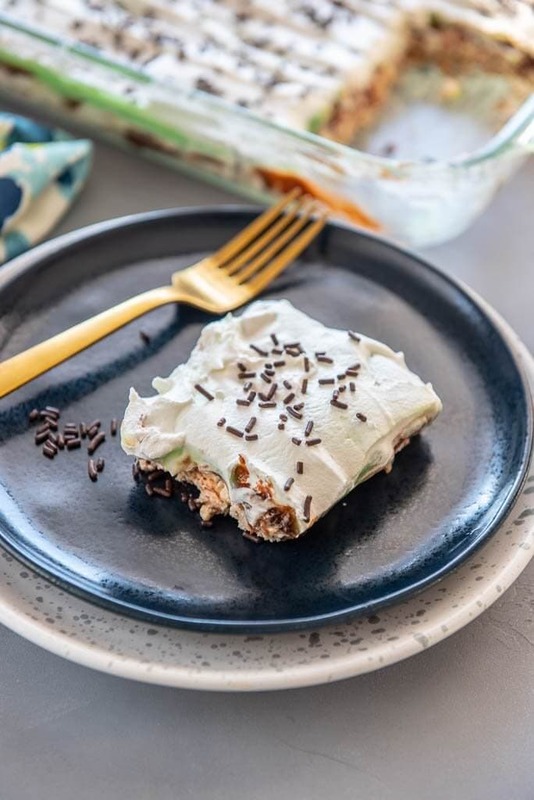 I love the creaminess with the use of Philadelphia Cream Cheese and the pudding adds just the right amount of sweetness! What are the layers of Layered Heaven? Another reason I like this recipe is because it can easily be prepared the day ahead. Do you travel for holidays? We do. And many times I need to prepare my dish the day before so when we wake up we can load up our crew and head out. I don’t like a recipe that can’t be made until the day of because it leaves me stressed the morning of travel. Having this as an option to prepare the day before makes traveling for holidays much easier! Set your Philadelphia Cream Cheese out in advance so it can soften. If you don’t have time to do that, you can microwave it in 10-15 second increments until it is softened, but not melted. I crush the pecans in the package it comes in and use meat tenderizer to break them up. It saves the use of a food processor… I don’t need any more dishes to clean! Let it refrigerate for at least 1-2 hours. It is best served nice and cold! 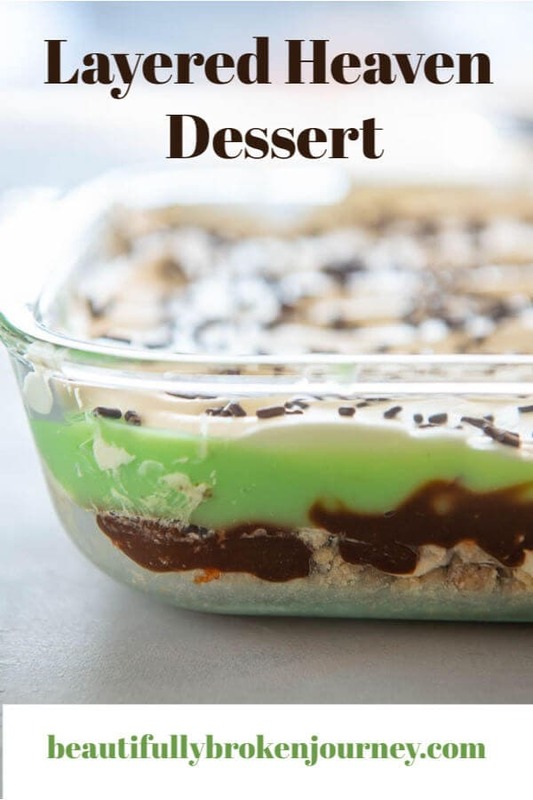 I hope you enjoy the creamy goodness of this Layered Heaven Dessert the way my family has for generations. Most of all, I hope you have a blessed Easter holiday with your family! 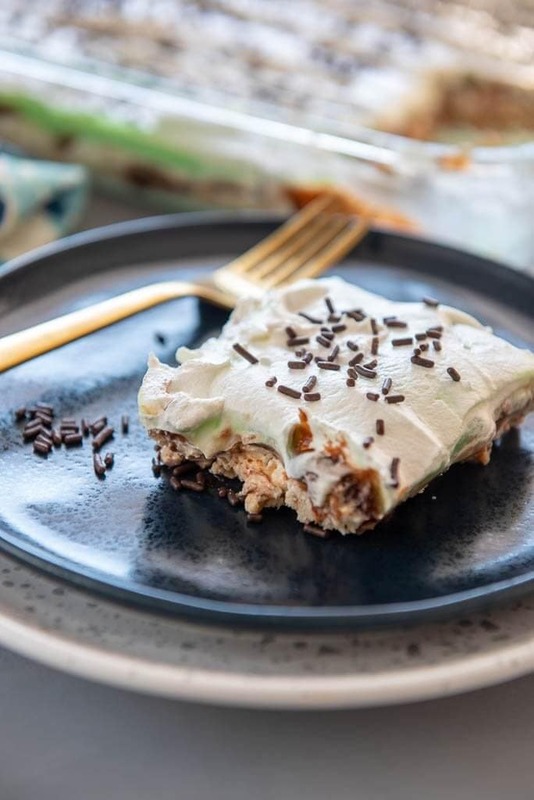 This Layered Heaven Dessert is layered with delicious pecans, cream cheese and pudding to make the perfect Easter dessert! Combine butter, chopped pecans and flour and press into the bottom of a 9x13 ungreased pan. Bake at 350 for 20 minutes. Let cool. Beat softened Philadelphia Cream Cheese, powdered sugar and half the whipped topping until smooth. Spread over layer one. Combine instant chocolate pudding mix and 1.5 cups of milk and whisk together until thick, approximately 2 minutes. Pour over layer two. 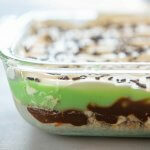 Combine instant pistachio pudding mix and 1.5 cups of milk and whisk together until thick, approximately 2 minutes. Pour over layer three. 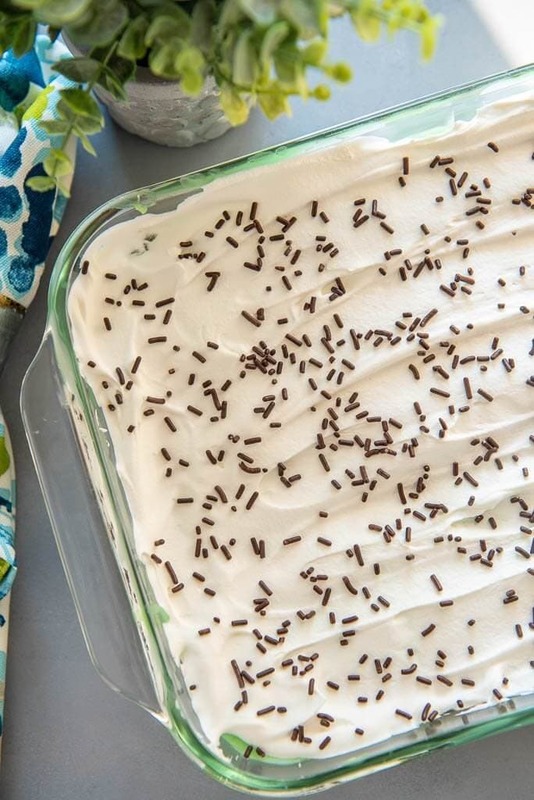 Spread remaining whipped topping and garnish with sprinkles or chopped pecans.